Maybe because I wanted to go out on a pain-free note, I’ve left the season’s best books to last. 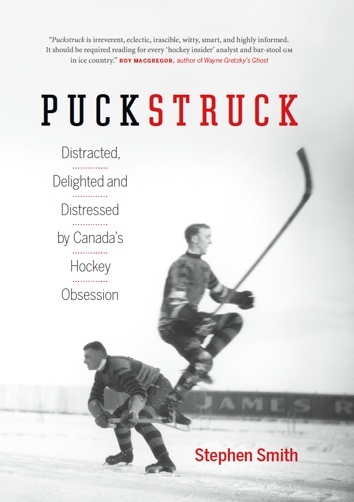 In Ice Time: A Canadian Hockey Journey (Viking/Penguin, $33), Hockey Night in Canada host Scott Russell goes after the soul of the game away from the rush and glare of the NHL. He remembers his childhood hero, the Leafs’s Ron Ellis, and, later, steps through the looking-glass to get to know him. He travels the Prairies with Edmonton Oilers’s scout Lorne Davis. He gives us the wonderful story of a sublimely skilled Newfoundlander, Andy Sullivan, who could have had it all in the NHL, but decided he didn’t want it. Ice Time is all the things the professional game mostly isn’t nowadays: simple, affecting, and true.